Overview : Do you have hangups about hanging up art? Do you worry about putting holes in your wall? 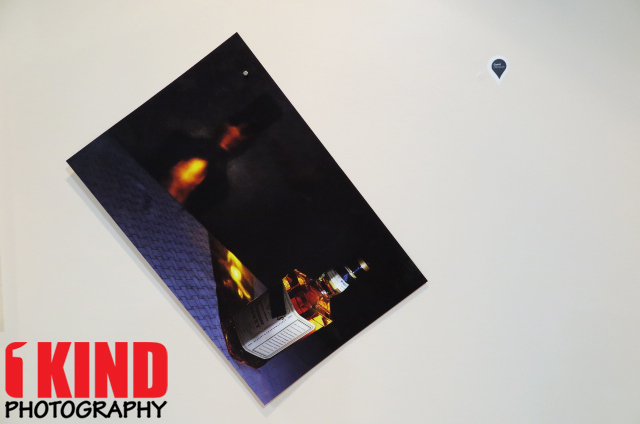 Are you scared about damaging your photos? 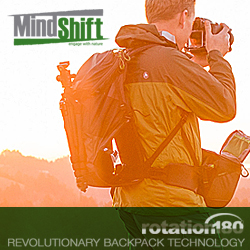 Are you frustrated by other solutions that never seem to work? 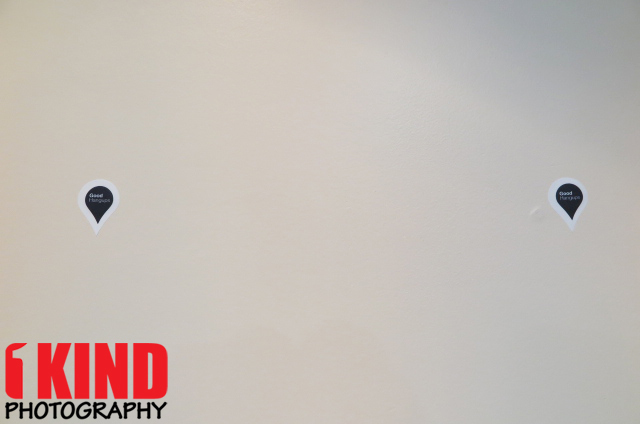 GoodHangups fixes all of the traditional hangups and problems with hanging art. 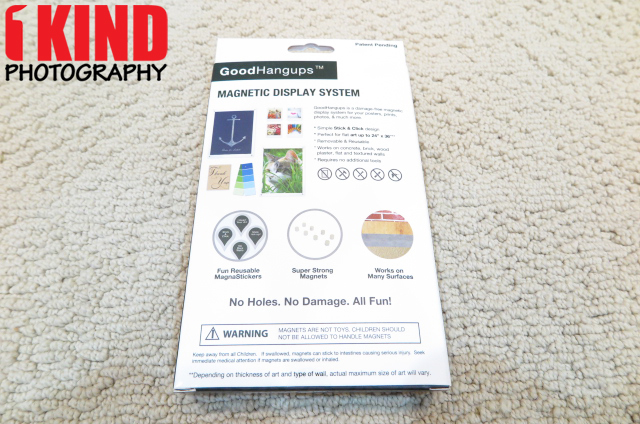 Harnessing the magic of magnets and sticky notes to create a patent-pending hanging system, GoodHangups allow you to hang your art instantly…and they are removable and reusable! 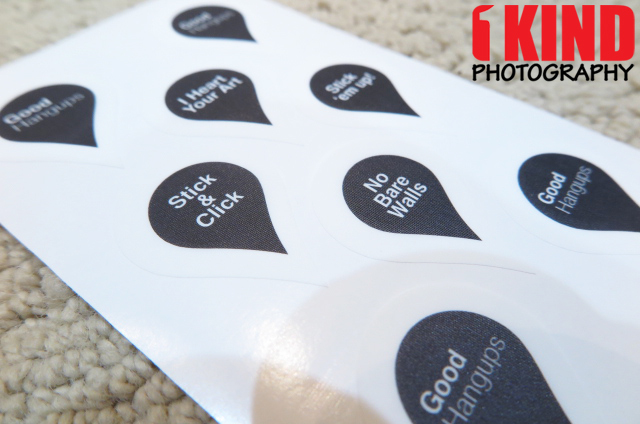 It all starts with our MagnaStickers, magnetic-receptive stickers that you can put up and move around tons of times, without them ever losing their stick! Plus, they work with most strong household magnets. They are magnawesome! Easy To Use. Simply stick & click. Quality/Usability : My wife is always asking me to hang pictures on the wall. This requires me to hammer a nail into the wall which leaves a small hole when removed. And now with a child, they/wife would want the "masterpiece" to be displayed. I was contacted by the creator, Leslie Pierson, to see what our thoughts were on their GoodHangups Kickstarter campaign and if we would review it. 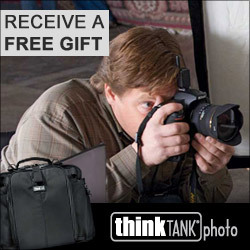 Since this seems like a promising item especially for photographers, I agreed to review it and share it. 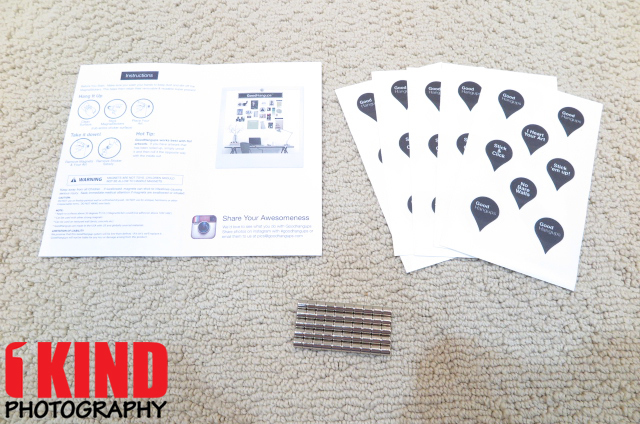 Included are reusable MagnaStickers and magnets. There are three different sizes available: LargeHangups (holds up to 24x36), RegularHangups (holds up to 11x17) and KidHangups (holds up to 8.5x11). The large and regular uses rare earth magnets where as the kids uses a ceramic magnet. They also come in a pack of 8, 16, 40 and 100. 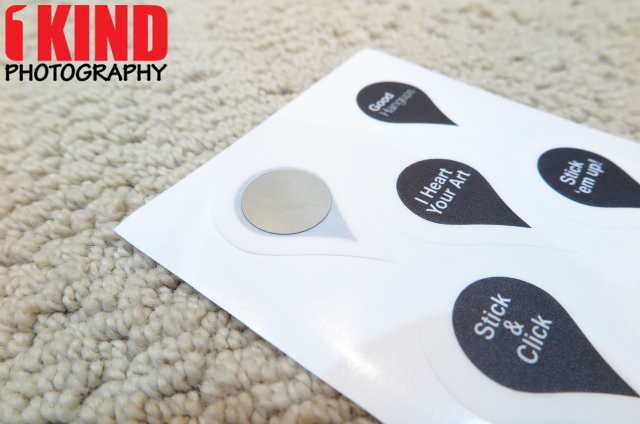 The MagnaStickers are magnetic-receptive stickers that you can attach to multiple surfaces such as plaster, wood, glass, concrete, brick and many more. They claim that it won't lose its stickiness as in won't dry out. You can reuse them tons of times. Of course, if it gets dirty, that's a different story. The key to reusing them is keeping it clean (make sure you’ve got clean walls and clean hands when using them). 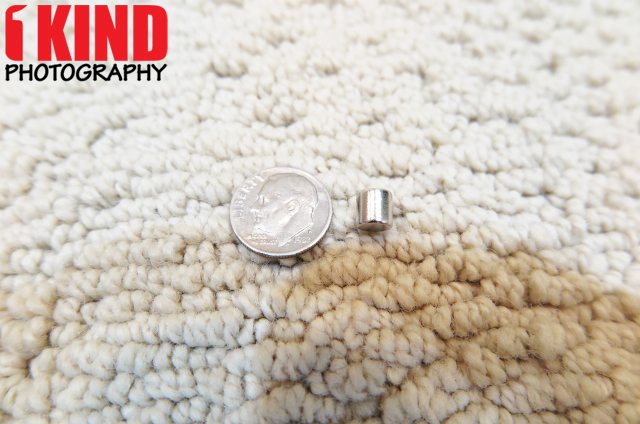 The rare earth magnets are fairly small but are very strong when attached to the MagnaStickers. If you're trying to peel two apart, it takes some effort because of the strong magnets. They can also be easily be lost so be careful. They don't have to be used specifically with the GoodHangups. It can be used on other magnetic surfaces. You can hang posters, prints, photos, signs, dollar bills, flat painted canvas, printed calendars, recipes, stickers, banners, tickets (concert, parking, speeding), pamphlets, bills, christmas cards, receipts and so much more. Pretty much anything that is flat and not too thick that you would probably stick onto a refrigerator. If you're like me who has a refrigerator that only allows you to attach magnets to the side of it and not the front, this would be great. As you can see, the side of my Kenmore refrigerator only allows me to attach magnets on the side. Even though the front looks metal, it's not and won't allow us to attach magnets. With the GoodHangups, all I have to do is place the sticker, the item I want displayed and the earth magnet to hold it in place. 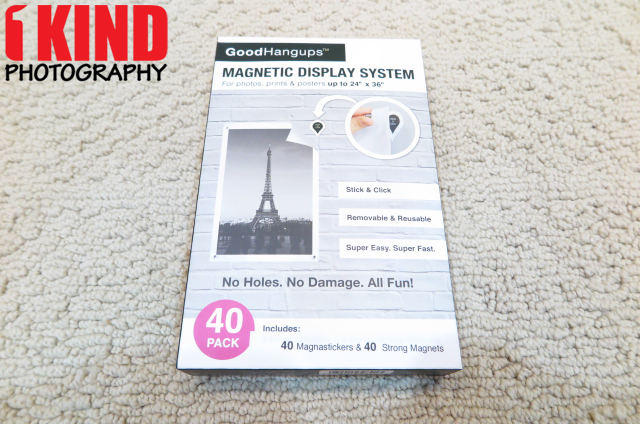 Conclusion : Overall, the GoodHangups: Hanging System for Posters, Prints and More is a great way to hang up your cards, money, pictures and other items without damaging your walls or being able to hang it on a non-magnetic surface. We're now able to hang stuff on the front of our refridgerator. It would be nice if they offered a clear sticker. This way, it isn't as noticeable when not used.